Sandulli Grace, P.C. is a unique firm because all of our attorneys concentrate in representing unions. We represent police officers, fire fighters, public school teachers, municipal employees, emergency medical technicians, school bus drivers, parole officers and environmental police, among others, in the public sector. Our clients work for cities and towns, counties, the Commonwealth, Massport, and the MBTA. We also represent a wide range of private sector unions, including radio and television broadcast technicians, racetrack workers, university police, and security guards. In addition, we represent individual employees in all aspects of employment law. We have participated in a wide variety of employment related cases. For close to 40 years, the lawyers at Sandulli Grace have been providing the highest level of legal representation to the New England labor community. Specializing in union-side representation, our attorneys have over 250 years of legal experience. Our clientele has expanded to include a wide range of public and private sector unions, as well as individual employees in all aspects of employment law. On April 1, 1977, Joseph G. Sandulli founded what would later become Sandulli Grace, P.C., by opening his own law practice on Mt. Vernon Street in Boston, Mass. He was also at the vanguard in forming what has since grown to be the largest law enforcement union in Massachusetts. Organized in 1979 with just five local police departments in the Worcester area, the Massachusetts Coalition of Police, or MASS C.O.P., now consists of over 4,000 members throughout hundreds of cities and towns in the Commonwealth. In these regards, Joe Sandulli is truly a pioneer in public sector union-side labor. With Kenneth A. Grace joining in 1982, the firm continued to grow – both in lawyers and areas of practice. In 1992, the law firm of Sandulli, Grace, Shapiro & Horwitz began receiving work from the Massachusetts Teachers’ Association (MTA), again the state’s largest union of its kind, with current membership around 110,000. One year later, the Boston Police Patrolmen’s Association (BPPA) hired the firm as labor counsel. The BPPA has over 1,500 members, including both patrolmen and emergency medical technicians (EMTs). Sandulli Grace currently has 12 lawyers, and is continuing to grow and adapt to the ever changing legal landscape. In addition to expanding into many different areas in the public, private, and individual domain, the practice has expanded well beyond contract arbitration, collective bargaining, and employment litigation to include such areas as civil liability, personal injury, and criminal defense, to name a few. The firm also takes an active role in the labor community, sponsoring educational seminars, teaching at the Labor Guild, publishing monthly articles in union newsletters, and even hosting its own annual ‘May Day’ celebration since 1995 to show appreciation and thanks to all those in the labor community. Since its founding, Sandulli Grace has cultivated its reputation for excellence in the legal community, and continues on that path. 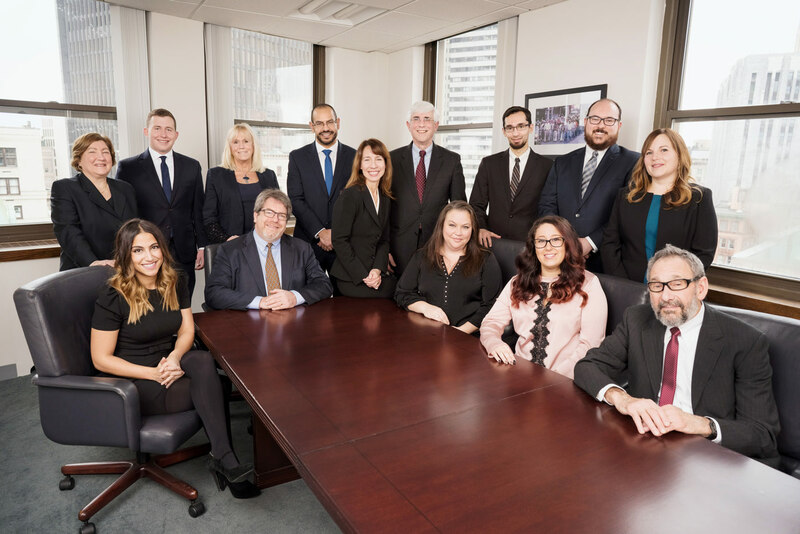 Whether it’s through aggressive representation as labor advocates, refining our existing crafts, or adapting and expanding into new areas, our attorneys are proud to have distinguished Sandulli Grace on behalf of our union and employee clients.